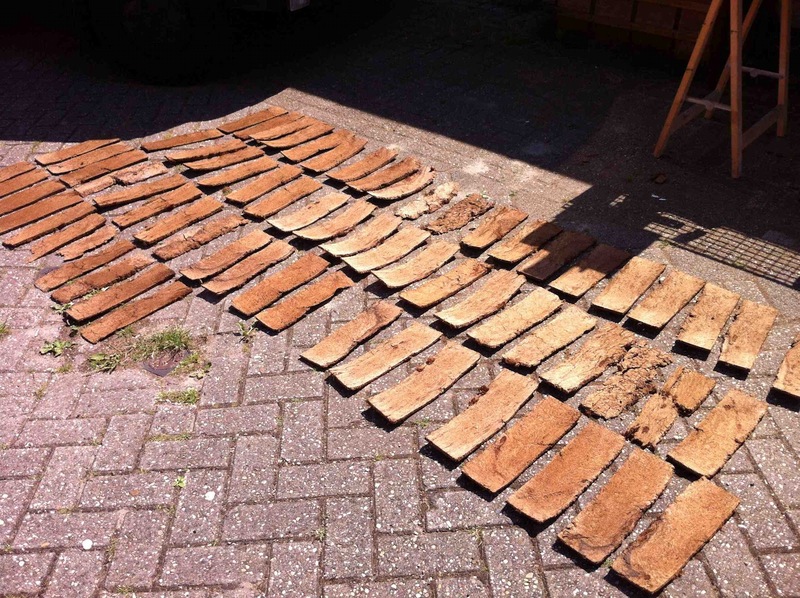 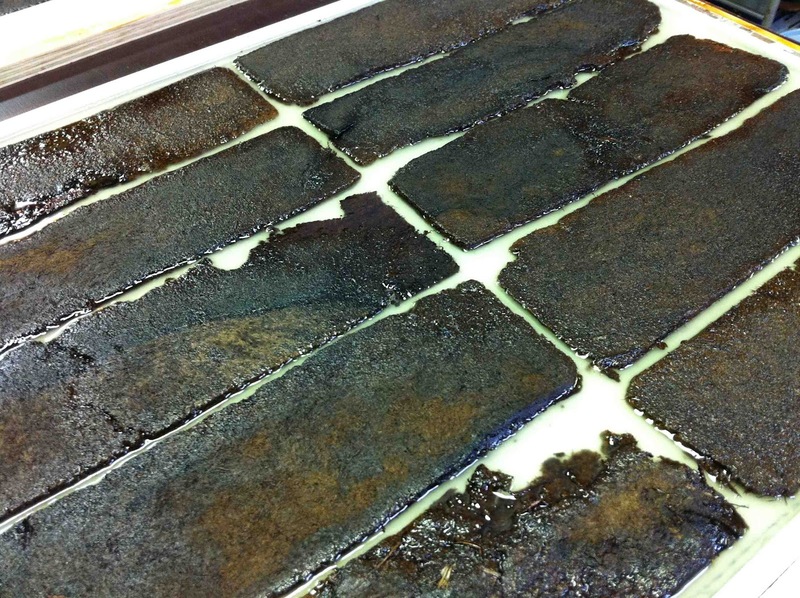 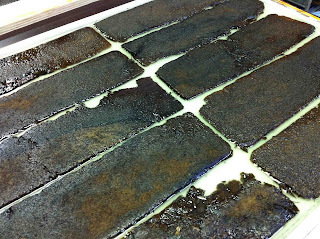 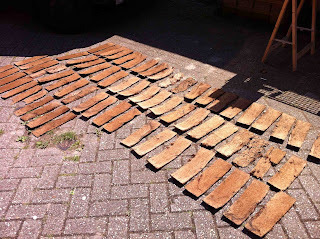 slices of peat drying in the sun. 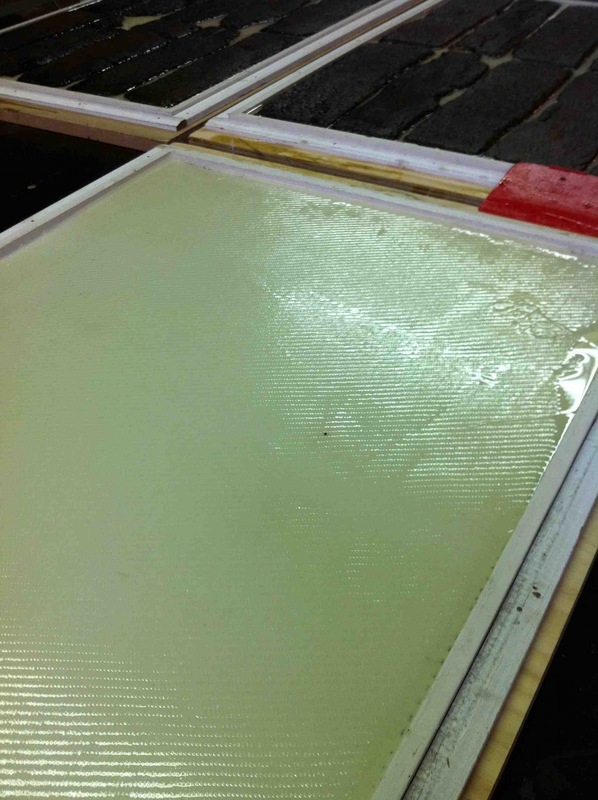 epoxy with fiber in the silicon rubber mold. 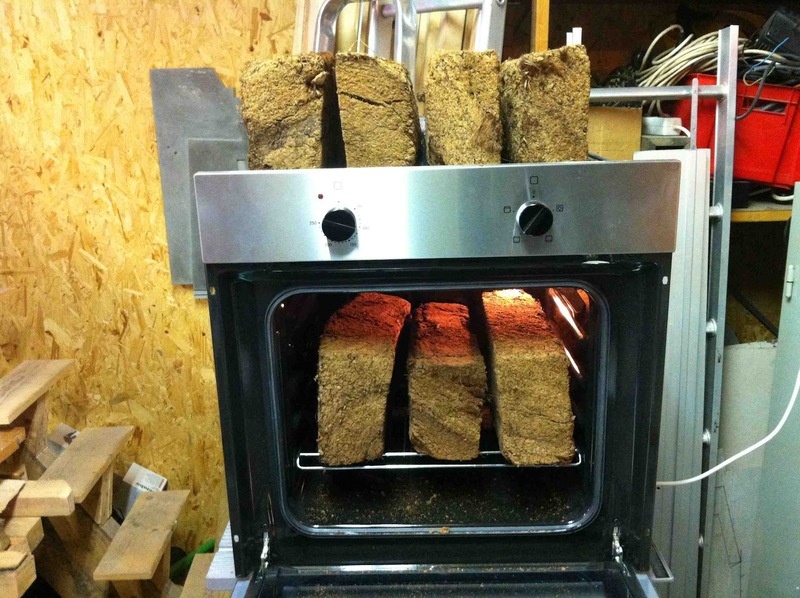 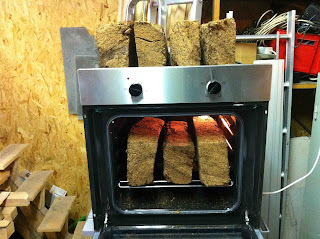 on top of the fiber I will put the slices of peat and fill it up with epoxy.